After many, many years of trying, I finally got the chance to skate on the Idaburn dam. Ice quality was average, but very thick at least. Kinda weird skating beside a main highway and underneath giant powerlines. I’m not sure why so many people rave about this place at seemed kinda crappy to skate at. Lower Manorburn, Poolburn and pretty much anywhere else I can think of are better IMO. 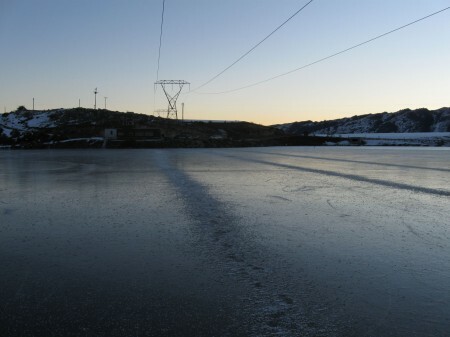 The power lines hanging over the Idaburn dam dropped annoying amounts of frost onto the ice. 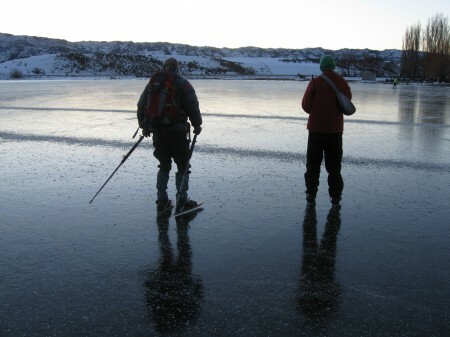 have u ever fallen through the ice? I’ve put a foot through a few time whilst trying to get onto the ice, but I’ve never fallen totally through. I’ve come close a few times though!